The store image is product value. 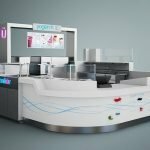 Look at your beauty salon eyebrow kiosk for a uniform counter image or use a very outdated bar and product display image. Whether you have a poor store or another in-store environment. Often, a simple decoration on the wall and a popular bar image may attract the attention of customers. 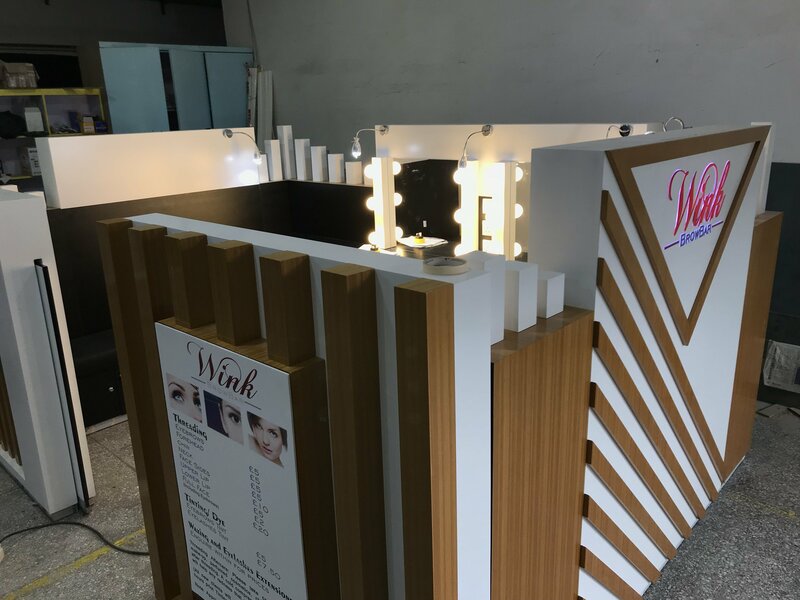 Eyebrow threading kiosk can combine the model of the Japanese shop with the living beauty mode. And display new products, brand-name products. And products with the high frequency of purchase in the front hall, design a product trial area and a quick beauty experience area and sell at a slightly lower price. 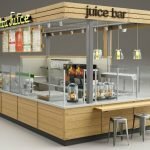 To attract customers who are interested in new products, brand-name products, and popular local products, visit the store. 2. Surface finishing: white baking paint, wood veneer. 3. Others: 3D Acrylic luminous logo, mirrors, facial chairs. 4. Size: 3.5 x 2.5 m or customize for your requirements. 5. Colors: white and wooden, or any colors as you like. Eyebrow bar kiosk in the UK is very famous, you can open in the shopping mall for renting a small place. Don’t need so much money, and then you can start your own eyebrow threading business. Isn’t a good idea? 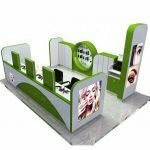 Shenzhen Unique Furniture Co., Ltd is a professional manufacturer in eyebrow bar kiosk. We have a professional design team and sales team. We promise we will offer you the best quality and service. 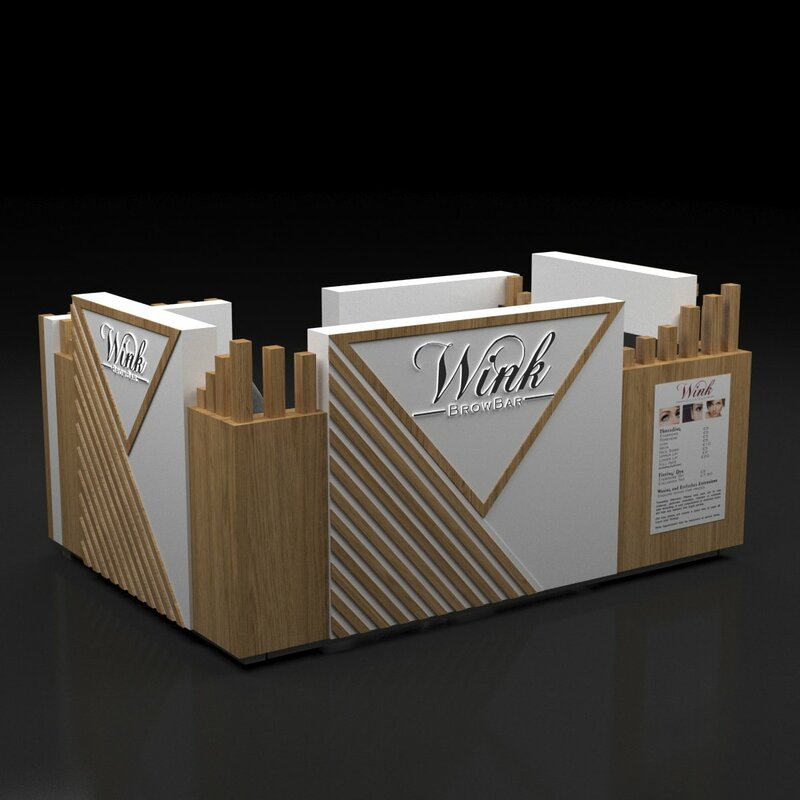 For the design, we usually charge 300 USD for the design deposit, but it will return to you when you order a kiosk. So actually the design is free for you. Don’t hesitate, welcome to inquiry. Thanks for your time to read. We are online for 24 hours!!! 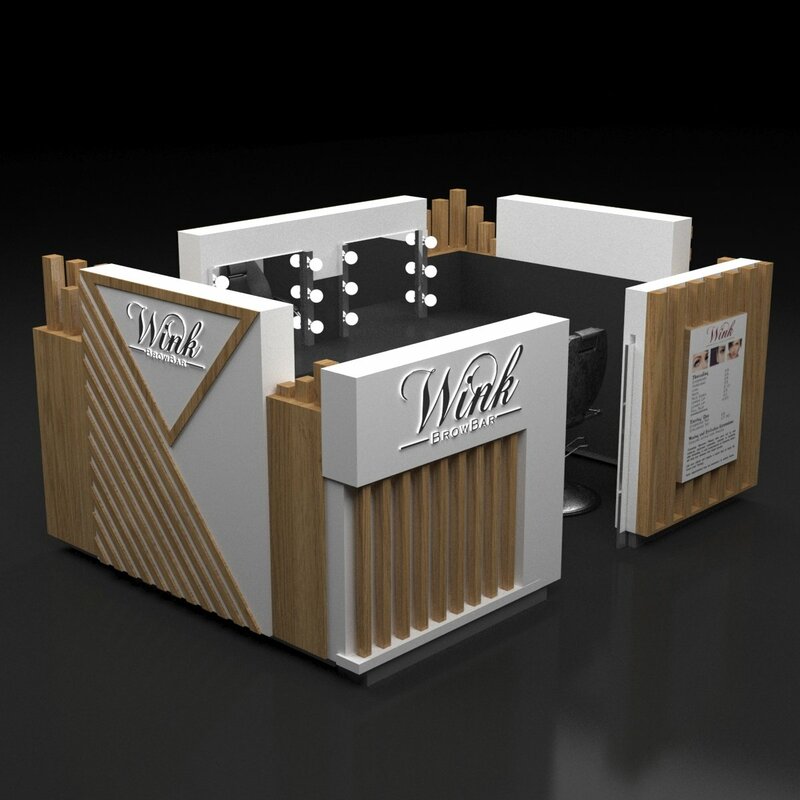 If you have something new ideas about the eyebrow kiosk, please feel free to contact us on Email: sales20@uniquekiosk.com.